We are so excited to bring on Sarah Woods as our new lead Esthetician! Sarah comes to us from Eugene and has 13 years experience from Gervais, one of Eugene’s top spas. One specialty you’ll experience right away: she is fantastic with the facial, neck and scalp massage techniques! Sarah is a graduate of Springfield cosmetology school in 2007 and began her career with Gervais Salon and Spa (an Aveda salon). She spent the last 12 years honing her holistic approach and strengthening her Ayurvedic skills with whole body/skin care. 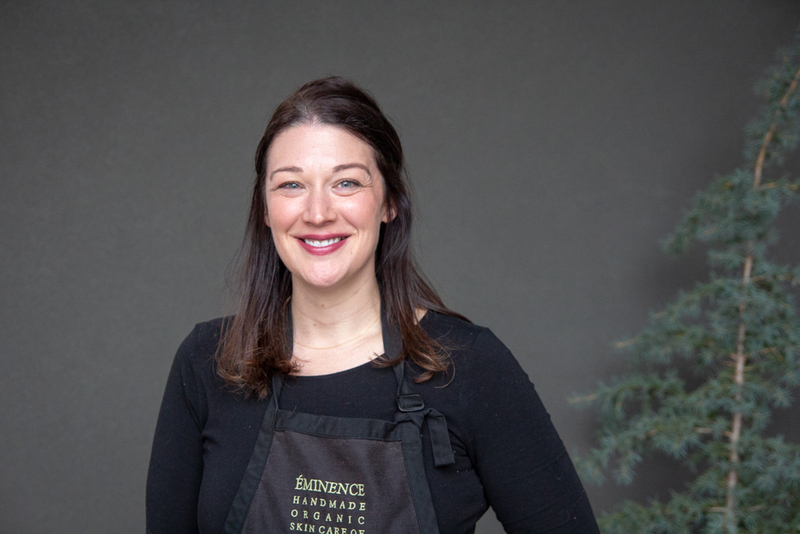 Lucky for us, her family moved to Central Oregon this spring, and she’s already immersed herself in Eminence Organics and become a great addition to the team. Everyone who has received a facial from Sarah comes out glowing and raving about her touch, style, recommendations, and education. Sarah is booking appointments now! You’ll definitely want to book with Sarah and get her recommendations to your at home skin care routine after your treatment.